Author Henry David Thoreau wrote that the “eyes are the jewel of the body” and many women adorn those eyes with mascara, glittering shadows, and eyeliner. However, applying eye makeup can result in health problems ranging from irritation and allergic reactions to a scratched cornea. And if you wear contact lenses, you may be even more susceptible to harm. Many of these health risks can be limited by following certain safety precautions when applying makeup. Before we look at how to safely use cosmetics, let’s take a look at the possible health consequences associated with eye makeup. Your eye health depends on a balance of tears on the surface of the eye. When this balance is disrupted, which can result from using contaminated makeup or from incorrect application, various eye conditions can result. Dry Eye: In this condition, your eyes do not produce the proper composition or amount of tears, leading to fluctuations in vision and irritation. Applying eyeliner to the inside of the lashes, using contaminated products, and not removing makeup can all impact this condition. Blocked Meibomian Glands: These glands in the upper and lower eyelids secrete oils onto the eye surface to prevent tears from evaporating too quickly. The blockage of these glands can cause dry eye. Eyeliner and other makeup can clog these openings, especially when eye makeup is not removed before sleep. Abrasions: Corneal abrasions can be caused by a scratch of a mascara wand or other applicator. The cornea is the clear area in the center of the eye through which we see. A scratch in the cornea is painful and can lead to bacterial infection. Conjuctivitis: Commonly known as “pinkeye,” this condition is inflammation or infection of the conjunctiva, the thin tissue that lies over the white of the eye and inside of the lids. Sharing eye makeup, using contaminated makeup or brushes, and particles from cosmetics in the eye can all cause conjuctivitis. Infection: An infection in the eye can cause symptoms on the eyelid, in the cornea, or in the conjuctiva, causing irritation, discharge, and other symptoms. Makeup applicators or brushes and contaminated cosmetics can cause infections. Allergic Reactions: Preservatives and colorants in eye makeup can cause dermatitis or irritation. 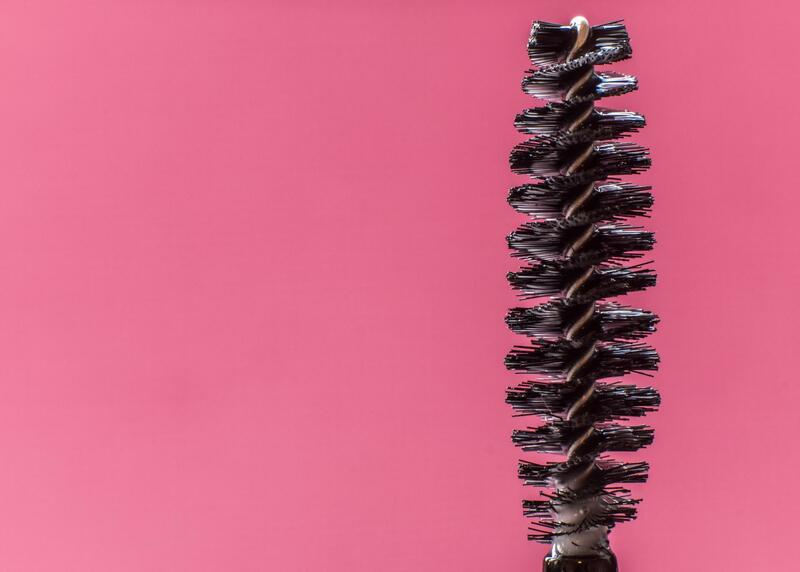 According to a study published in the Journal of the American Optometric Association1, microbial or bacterial growth was found in 36.4% of mascara tubes after three months of use. This percentage increases when the mascara is shared by two or more users. 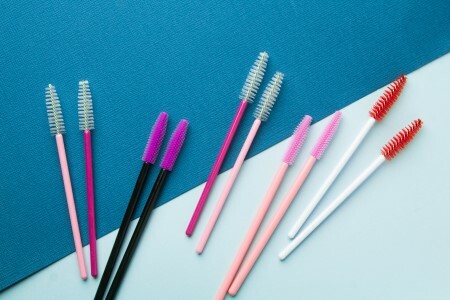 Brazilian researchers who tested 40 mascara samples used by women found that 79% of samples were contaminated by staph bacteria.2 The environment of a mascara container is an ideal breeding ground for staph and other bacteria, especially after the three-month mark. 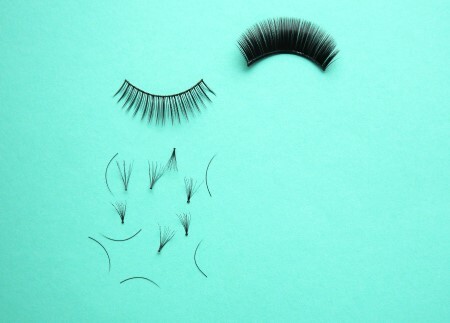 False eyelashes have become a popular alternative to mascara, but they, too, present risks. Glue can enter the tear film or the surface of the eyes, potentially causing abrasion or infections. While mascara, eyeliner, and other cosmetics can cause numerous health risks, there are steps you can take to limit or avoid potential damage. Some of the precautions to take include not sharing eye makeup, cleaning brushes regularly, and replacing mascara every three months. Track Your Use: Use your smartphone to remind yourself to toss your mascara every three months. Bacterial growth increases after three months of use. Keep it to Yourself: Sharing makeup such as mascara significantly increases odds of contamination. Stay Clean: Buy a high-quality brush cleaner and use it at least once week on your makeup brushes. Remember to wash your hands before applying eye makeup. Remove Makeup Before Bed: Sleeping with mascara can lead to more than raccoon eyes, clogging the oil glands of the eyelids and possibly causing infection. Use a gentle cleanser and avoid mineral oil, sodium lauryl sulfate, and other additives. Choose a gel-based and paraben-free cleanser. Line Only the Lid: Makeup tips often include tips on applying to the “waterline” or the inner rim of the eyelid. However, applying liner to the inner eyelid can increase risk of particles getting into the eye, causing vision problems. Don’t Use on the Run: It may be tempting to put those last minute makeup touches on in the car or bus but applying mascara or makeup in a moving vehicle can lead to a scratch and serious infection. For Contact Lens Wearers: Insert contacts before applying makeup. Avoid applying makeup close to the eye or at the waterline to reduce risk of flaking particles. Don’t use lash-extending formulas, which contain fibers that can irritate the eyes. Remove lenses before removing makeup. Most eye makeup can be used relatively safely if you take precautions. Contamination of eye makeup can lead to irritation and infection. To limit this risk, replace mascara every three months and avoid sharing cosmetics. Keep brushes regularly and remove makeup nightly. 2. Investigation on the use of expired make‐up and microbiological contamination of mascaras. Giacomel, C. B., Dartora, G. , Dienfethaeler, H. S. and Haas, S. E. (2013), Int J Cosmet Sci, 35: 375-380.